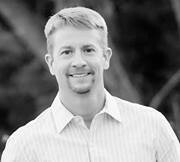 Dr. Jason Dukes was raised in Yukon, Oklahoma and attended the University of Oklahoma in Norman. He earned his undergraduate degree in Microbiology in 1995. He graduated in 2000 from the University of Oklahoma College of Dentistry. He is a member of the Oklahoma Dental Association. Dr. Dukes is also a member of the Yukon Chamber of Commerce and participates each year in the Give Kids a Smile Program. Jason has three wonderful children all attending Yukon public schools. He enjoys volunteering with the kids school activities such as Watchdog Dads. They are active parishioners at St. John's Catholic Church in Yukon.